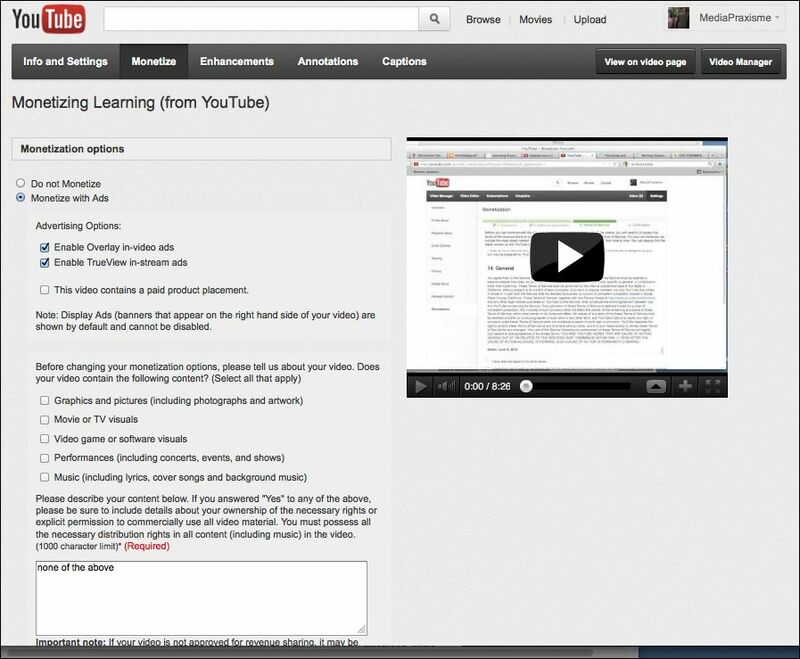 I got a notice from Google on my “Learning from YouTube” YouTube channel. Apparently I passed some metric and have enough traffic to qualify to money-up with Google. While I am quite worried that I’ve signed away more than I’ll ever know, I felt that the learning mandate of this course demands that I go for it. We’ve been talking about Google’s (and corporate and money’s reach) on YouTube in class, and we can now watch how (or if) that happens in real time. I given even make money on Monetizing Learning (above!). See Details below.